Richard Thomas Conservatories & Windows Veranda and Awning offering is a fantastic addition to any property. They are tastefully designed to suit your requirements, enhancing your lifestyle. Our elegant and contemporary Glass Verandas can transform your outside or patio area creating a bespoke living space maximising your life style, whatever the weather and giving a new dimension to life at home. Introduce an extended outdoor area to socialise and bring the family together. Transform the appearance of your home with a Richard Thomas Veranda or Awning, whilst affordably increasing the usable footprint of your home. 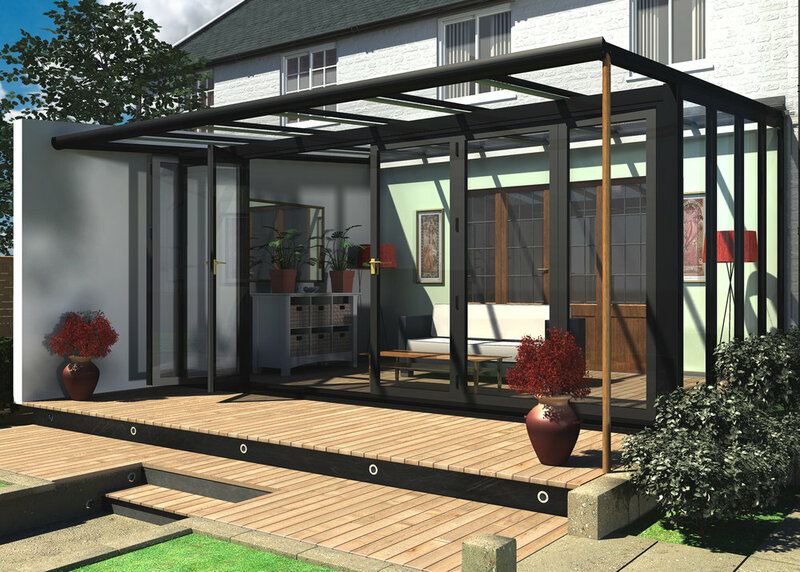 We provide plenty of guidance & support throughout the entire process, from design to installation to ensure your Veranda or Awning installation surpasses your expectations.